Christy Gast travels from Miami, where she lives and works, to meet Camila Marambio in Santiago. Both travel to Punta Arenas to board a plane to Puerto Williams the morning of January 14, 2014. They stay in Isla Navarino, spending their time between the forests and field station of Omora Ethnobotanical Park on the Rio Robalo, and Martin Gusinde Museum in Puerto Williams. With the idea of ​​using forest as a studio, the artist and curator devote the residency period to performative experimentation with the textile sculptures that Gast created in Miami for the occasion. On January 22, after a week of creative exercises in the forest, Gast and Marambio presented their findings from a performance at the Martin Gusinde Museum as part of the Festival Cielos del Infinito. 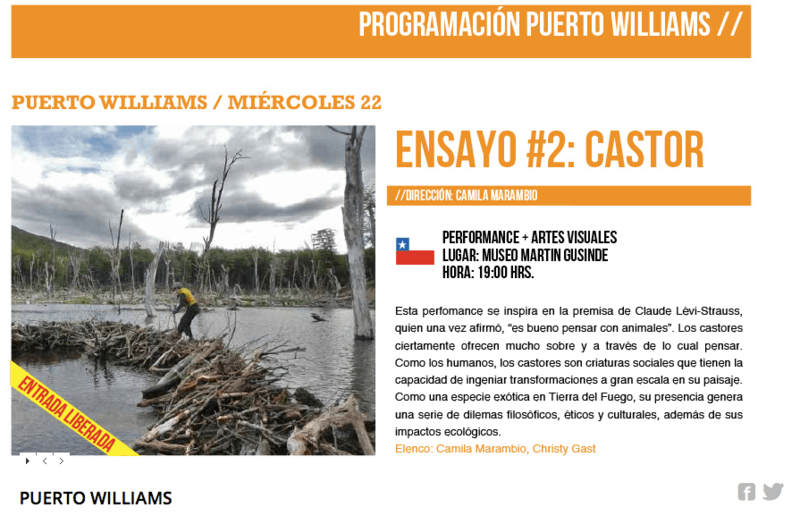 Back in Punta Arenas, Gast and Marambio met with biologists Derek Corcoran and Giorgia Graells, scientific collaborators of Ensayo #2 from 2012, to share the recorded material from Isla Navarino and invite them to embody the beavers using Christy Gast’s sculptures. This trial was filmed, and with material captured on Isla Navarion will become exhibition material. 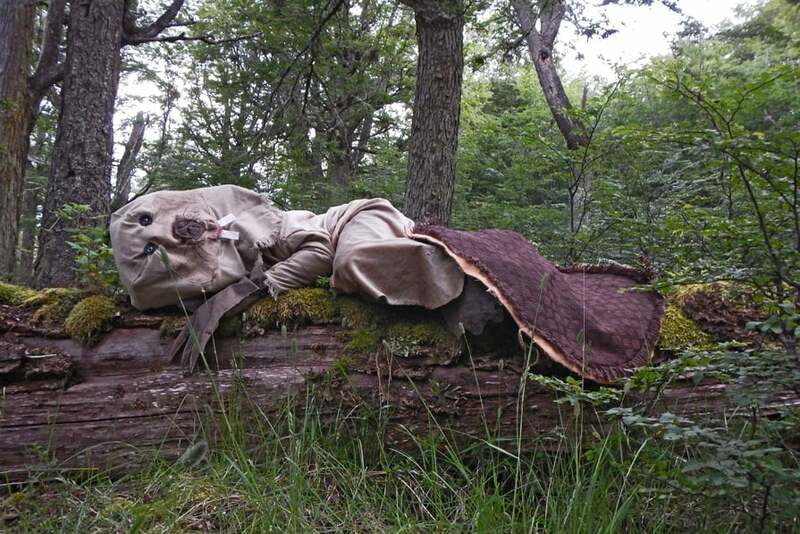 The idea of ​​situating a residency on Isla Navarino, and specifically in the Omora Ethnobotanical Park, arose from the need to witness the beaver situation on another island, an interest in understanding how the science team at Omora addresses the issue, and the insistent desire to continue speculating about the post-humanist “how to become beaver” notion. Thanks to Consejo asesor de Ensayos; the Omora Ethnobotanical Park who shared accommodation and knowledge; Julio Contreras Gaston who supported as a friend in Punta Arenas; Galería Patricia Ready to who contributed to the production of works of sculpture; the Festival Cielos del Infinito who supported with logistics in Puerto Williams; and to Dan and Kathryn Mikesell of Fountainhead residency in Miami who sponsored Gast’s travel to Santiago.